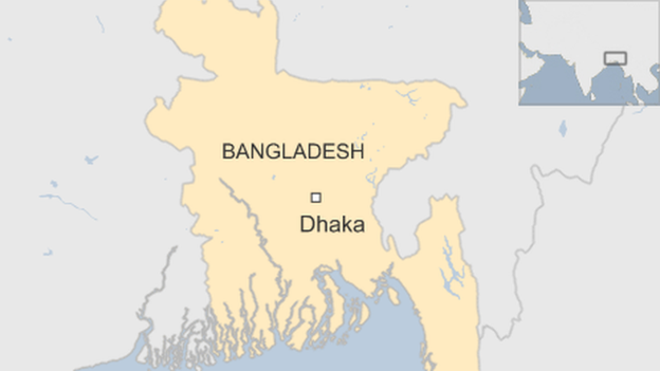 Dhaka, Bangladesh (BBN)-Bangladesh’s stocks retained the upward trend from morning-to-midday amid choppy trading on Tuesday. The market opened with optimistic note in the morning and managed to hold it after nearly two hours of trading on the fourth session of the week. But the market experienced a roller coaster ride as it faced ups and downs during the time. The key index of Dhaka Stock Exchange, the prime bourse of Bangladesh, gained 20.97points while the selective categories index of Chittagong Stock Exchange, the port city bourse of the country, also obtained 19.96 points when this report was updated around 12:35pm. 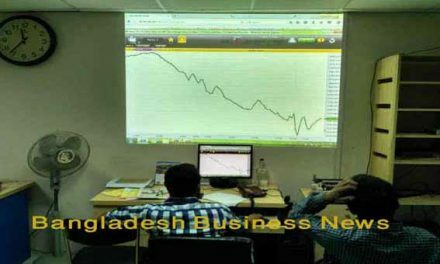 After nearly two hours of trading, DSEX, the prime index of the Dhaka Stock Exchange, stood at 4,437.88 points gaining 20.97 points or 0.47 per cent at 12:37pm. The DS30 index, comprising blue chips, earned 11.03 points or 0.66 per cent to reach at 1,691.27. The DSE Shariah Index (DSES) also received 4.24 points or 0.40 per cent to reach at 1,072.84. Turnover on DSE stood at BDT 1.361 billion when this report was updated at 12:37pm. Of the issues traded till then, 171 advanced,87 declined and 41 issues remained unchanged. Titas Gas was remained the most traded stocks with shares BDT 89.32 million changing hands followed by IFAD Autos, Zaheen Spin, Emerald Oil, Square Pharma and Quasem Drycells. The port city bourse – the Chittagong Stock Exchange – (CSE) also maintained positive trend after nearly two hours of trading as its Selective Category Index – CSCX – gained 19.96 points to stand at 8,236.08 when this report was updated at 12:34pm. Of the issues traded till then, 104 gained, 61 declined and 17 issues remained unchanged with a turnover value of BDT 83.87 million.